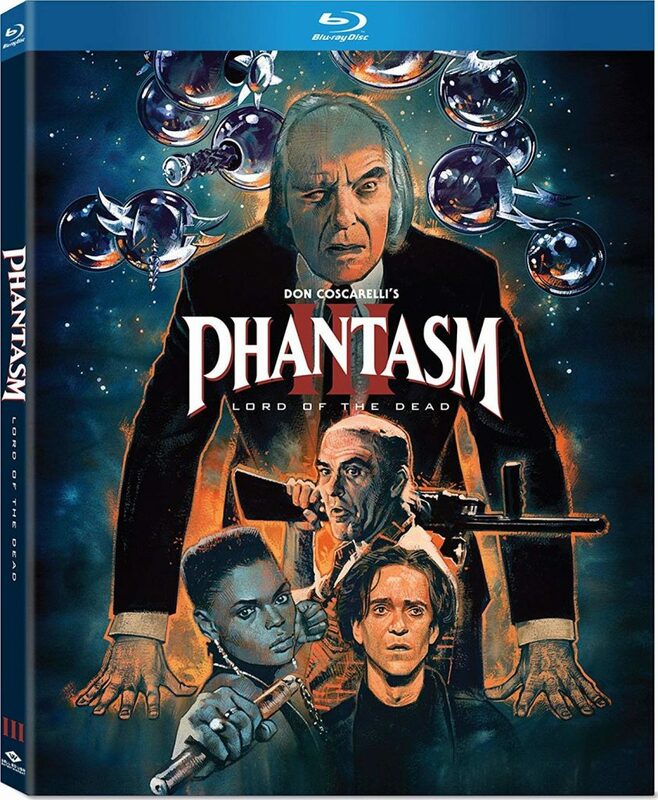 Also, this movie is part of a bigger set in the ‘Phantasm‘ franchise. If you already own the set, then you don’t need this individual release as the video and audio presentations are the same as the box set. If you don’t though, these are for you. 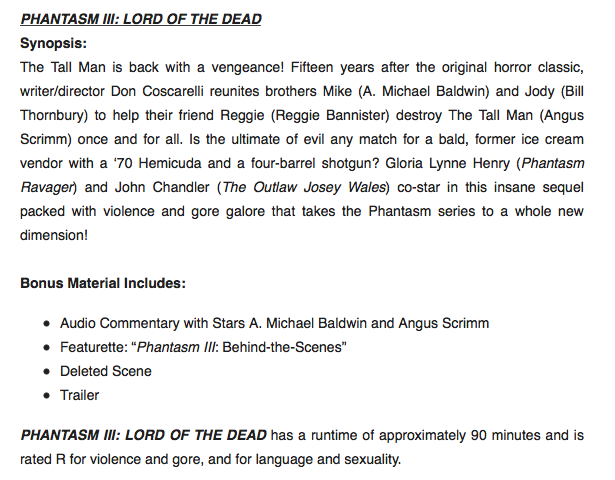 There are some great extras too boot. This entry was posted on Thursday, September 27th, 2018 at 3:34 pm	and is filed under Film, News, Podcast. You can follow any responses to this entry through the RSS 2.0 feed. You can skip to the end and leave a response. Pinging is currently not allowed.